You’ve seen many examples of “light painting” around the web. However, I think the best I’ve seen was by Dave Black. He also wrote a great article about techniques he uses when doing this, and you can find it on the Nikon website. What is involved with light painting is using a hand-held light source, commonly a flashlight, but it could be about anything. Essentially, you use a long exposure and then selectively light your subject with the flashlight to attain the effect you are looking for. It’s a bit of trial and error, since your metering system is mostly useless and may, therefore, take several exposures before you get a satisfactory result. 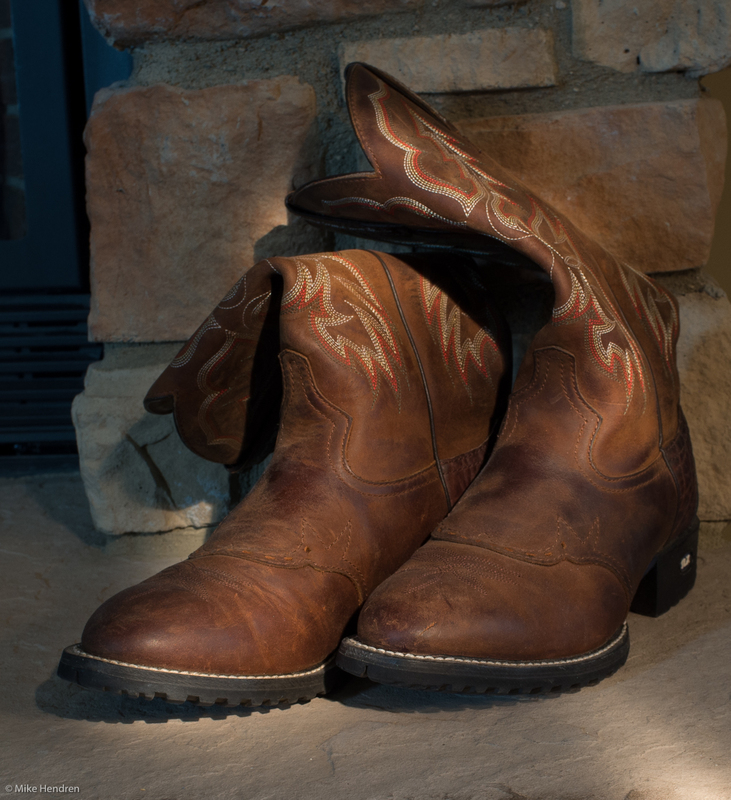 For this image of “boots”, I set up in a darkened room with my X100 on a tripod. Then, with the lights on, I set the focus and made sure it was in manual focus for the shot. Finally, with the lights off, I achieved this result with a 5 second exposure at f/8. Thank you Hortencia, I appreciate it. Next Next post: Date Reminder – Double Trouble this Year (2012)!